With the end of the Human Genome Project in sight, the next important step is to determine the function of genes. 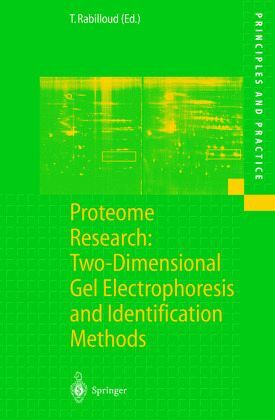 Proteome Research is an important approach to this study and is the first book to comprehensively cover the application of two-dimensional electrophoresis, the central methodology in proteome research. The state-of-the-art is described in detail and the available detection methods are extensively covered. 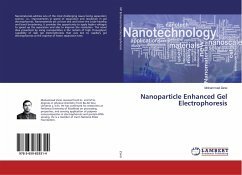 Sufficient detail is given to allow readers to apply these technologies to their own particular requirements. Solubilization of proteins in 2D electrophoresis.- 2D electrophoresis with carrier ampholytes.- 2D electrophoresis with immobilized pH gradients.- Detection of proteins on 2D electrophoresis gels.- Blotting and immunoaffinity identification of 2-DE separated proteins.- Identification of proteins by amino acid composition after acid hydrolysis.- Identification by amino acid composition obtained from labeling.- Identification of proteins by amino acid sequencing.- Identification of proteins by mass spectrometry.- Mass spectrometry of intact proteins from two-dimensional PAGE.